Need some city detox? 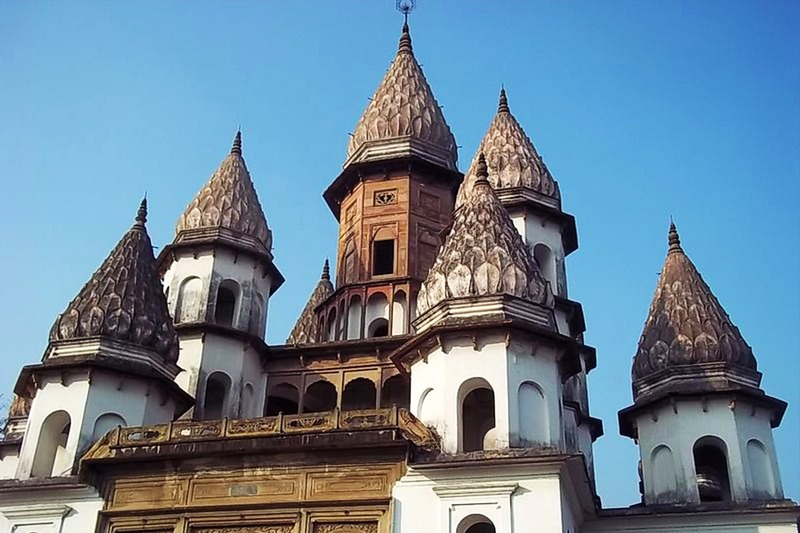 With its European architecture and tuk tuk walas who don’t hesitate before describing the rich cultural heritage, Bandel is great for a one-day break! To start off your day you can go for the service at St Basilica, one of the few in India. The English service starts at 11am, so get there around 10:30 am to avoid the crowd. After the service at St Basilica, the Bandel church is something you shouldn’t miss. This Doric-style church with its open spaces and beautiful paintings (That depict the life of Jesus Christ) is the best example of the Portuguese influence in Bandel. This well-maintained church with Rosario’s Idol was one if the first built churches in Bengal! Read more about it here. LBBTip: In case you didn’t pack any breakfast, you can eat at Raj Restaurants and Sweets (very close to the church). It’s a local roadside eatery which serves omelettes and puris and kochuri (INR 15-30). Next walk down or take an auto to the Hooghly Imambara (built in 1861) whose elegant minarets are visible from afar. Buy a pass for INR 20-30 to experience the grandeur from ancient clocks to Islamic calligraphy on the walls, the peaceful aura of the Imambara will transform you into a different age. The black and white marbled prayer hall with coloured glass takes the cake! But it is most well known for its vaunted clock bought in 1852 from M/s Black & Hurray Co., Big Ben, London. It’s located between 15-ft high twin towers on the epic doorway and has two dials with three bells – the smaller ones ring at an interval of 15 minutes and the bigger ones every hour. The clock requires two people to wind it for half an hour of each week with a key weighing 20 kg! Must haves: Kochuri aludom, rosogolla, roshmaduri, dilkhush. You must check out Felu Modak. Although this place is further away from Bandel, it serves great sandesh, kalojam, malai rabri and mango malai rabri. Located about a kilometre away from Bandel is Shinsurah which feels like a part of Holland on the Ganges. This was a highly lucrative post for the Dutch East India Company once. The Octagonal Church and the Dutch cemetery (with the oldest grave dating back to 1743) are part of the Dutch legacy in Bengal. The ‘Ghorir More’ (the crossing near the old clock) is a clock tower done in Gothic style. It was imported to Chinsurah by Kind Edward VI and is an iconic landmark. Before heading back to the hustle of the city, if you are feeling adventurous you can go to Banshberia, 4kms away from Bandel. It was once, Saptagram’s port. The Basudev Temple with its terracotta structures and Hangeshwari temple with 13 lotus stone spires with 1,000 petals, are examples of the exemplary architecture. Bandel is a culturally rich town. Its rustic village like beauty and colonial architecture is a perfect mix for a day away from the busy city life. Getting to Bandel is fairly easy, you could opt for a one and a half hour train journey or take a one hour road trip. Get an early start to the day and leave for this town. Moving around in Bandel is easier than you would think. You can walk around, but for some of the further away places there are always autos and totos. The toto guys, also called tuk-tukwalas, have a tremendous amount of knowledge about the town, so be sure to take their inputs!